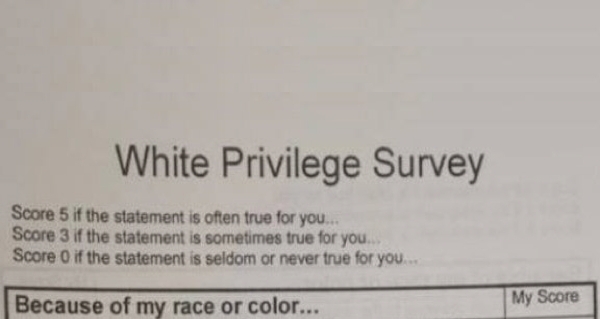 Controversy erupted last week in Aloha, Oregon after a high school teacher handed out a “White Privilege Survey” as a homework assignment. The survey (based on a 1988 essay by activist and educator Peggy McIntosh entitled “White Privilege: Unpacking the Invisible Knapsack”) quickly ignited heated discussion. On the one hand, parents like Jason Schmidt, whose son was given the survey claim that material like this has no place in the classroom. “I think he should be learning actual education and not be a part of some social experiment or some teacher’s political agenda,” Schmidt told local KATU News. 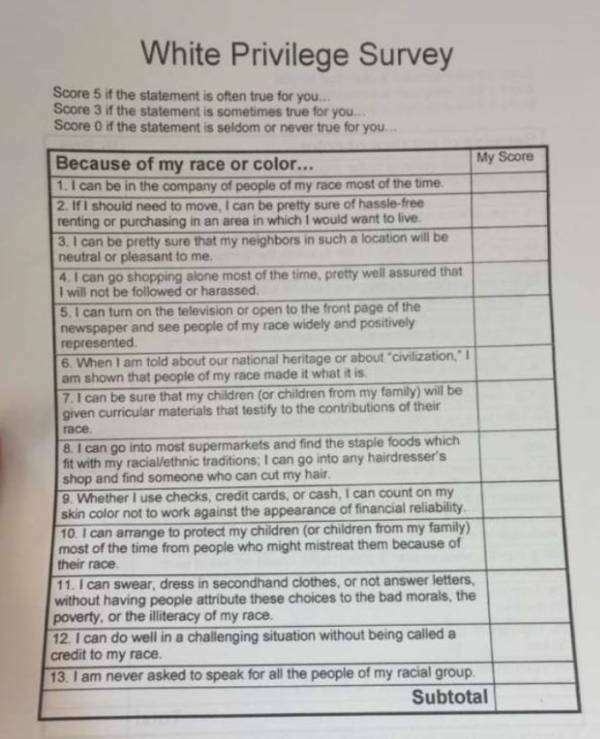 However, proponents of the survey like local parent Sarah Rios-Lopez argue that high schoolers need to be aware of the role that race plays in American society. “I want [my daughter] to have opinions. Whether it’s for or against, you have to create those, but you can’t without good information so I applaud teachers getting out that information,” Rios-Lopez told KATU. With parents like Rios-Lopez and Schmidt battling it out, the school itself has stuck to its guns. Next, read about the public university that recently came under fire for offering a “stop white people” course.